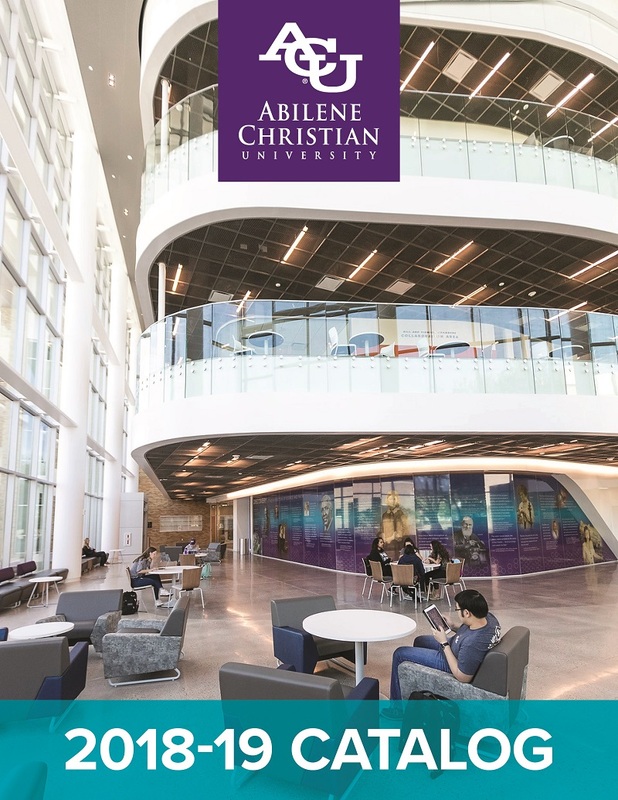 This catalog contains information about undergraduate and graduate programs at Abilene Christian University and is intended to be a description of the policies, academic programs, degree requirements, and course offerings in effect for the 2018-2019 academic year. The responsible parties within the university review programs and policies throughout the year and make necessary updates to the contents of the catalog annually. The university has endeavored to make it as accurate as possible at the press deadline. It should not be construed as an irrevocable contract between the student and the university. Abilene Christian University reserves the right to change any of the policies, procedures or fees described in this catalog and to apply these changes to any or all of its students as it finds necessary. The university may also choose to add or delete course offerings, degree programs, or other programs at any time.